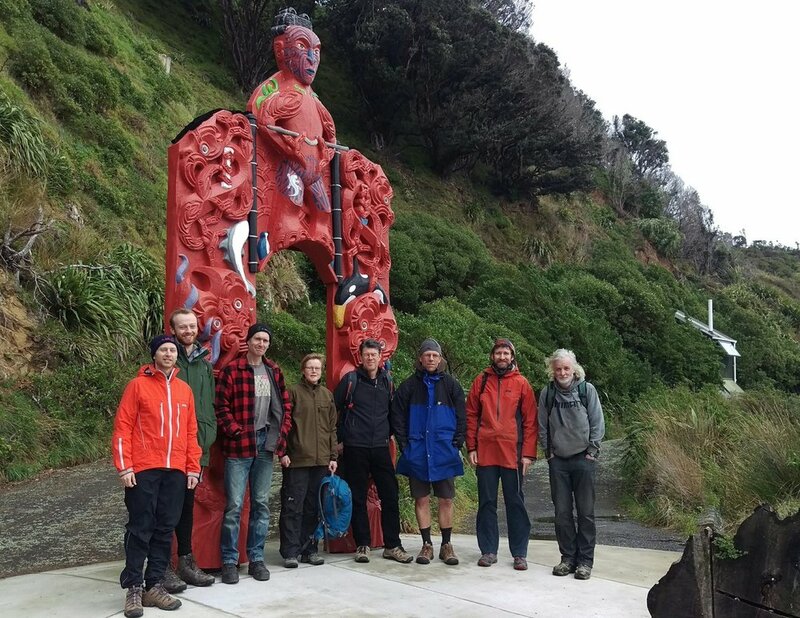 Tane, God of the Forest, looked over the Makara Peak plant care crew (Evan, Jamie, Sarah, Peter, Andrew, Simon and Don) as they joined ecologist Pete Russell on Somes/Matiu Island today. Pete gave a workshop on the art of releasing podocarp saplings from common, fast growing trees. The Supporters aim to get all the native podocarp species - rimu, kahikatea, matai, miro and totara - well established in the park, and we're now at the stage where looking after the ones we've planted is even more important than planting more. If you'd like to join the crew and adopt an area of saplings, please flick us a Facebook message or email supporters@makarapeak.org.